Home / breaking news / Crazy Footage Of A Snake Eating Another Snake! Who’s Hungry!? 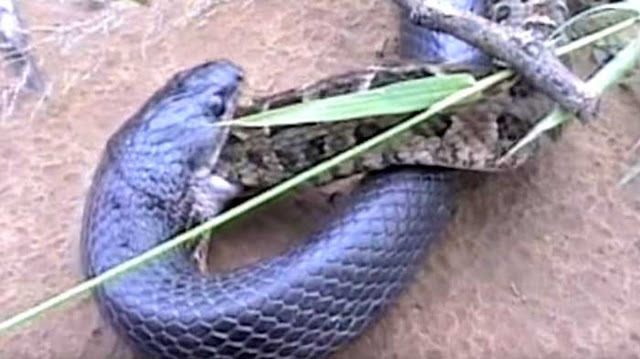 Crazy Footage Of A Snake Eating Another Snake! Who’s Hungry!? One thing being eaten by a predators but to be eaten by one of your own kind is just bad luck! This poor snake was minding her own business when she was suddenly attacked and bitten by another one of her kind! Of course it tried to put up a fight but the other snake bit her harder and better! There was not much to do after that! What did you think of this video? Let us know in the comments below and SHARE this post with your Facebook friends!